Off-leash obedience is one of the most coveted skills in dog training, especially among my fellow Coloradoans. Friends who know that I don’t like using e-collars ask: how do I teach my dog to hike off-leash without an e-collar? The answer is called boundary training. Having great off-leash obedience lets you and your dog enjoy nature together. This can be incredibly good for relaxing stressed-out dogs (and people) and is extremely enriching. Letting your dog sniff and roam is one of the biggest (free) things you can do to improve his life – if you do it well. It’s quite common in the U.S. to teach off-leash obedience using e-collars (also known as shock collars, electronic collars, or stimulation collars). That’s not the case everywhere in the world — in fact, Britain just outawed e-collars, following the lead of Denmark, Norway, Scotland, Wales, Sweden, Germany, Austria, Switzerland, Quebec, and parts of Australia. If properly trained, e-collars can be a reasonable option for communicating with dogs in specific instances – especially for deaf dogs. That said, I have never recommended an e-collar to a client. In the hands of most non-professional trainers, e-collars are just too challenging to use well. The reality is if you want to keep your dog safe while hiking, a leash is your best bet. Dogs can (and will) keep running after being recalled with an e-collar. The shocks, vibrations, citronella sprays, or other corrections that a shock collar delivers are difficult to use without causing other side effects. Many dogs trained using shock collars display significant behavioral fallout even if the training is effective. In a 2014 study, dogs trained with an e-collar were more stressed than others, as measured by body language such as calming signals and their salivary and urinary cortisol levels (cortisol is a hormone that indicates stress). The same study found that dogs trained with an e-collar were no more responsive than dogs trained using other methods, such as reward-based boundary training. I prefer to motivate dogs to do what I ask using rewards. 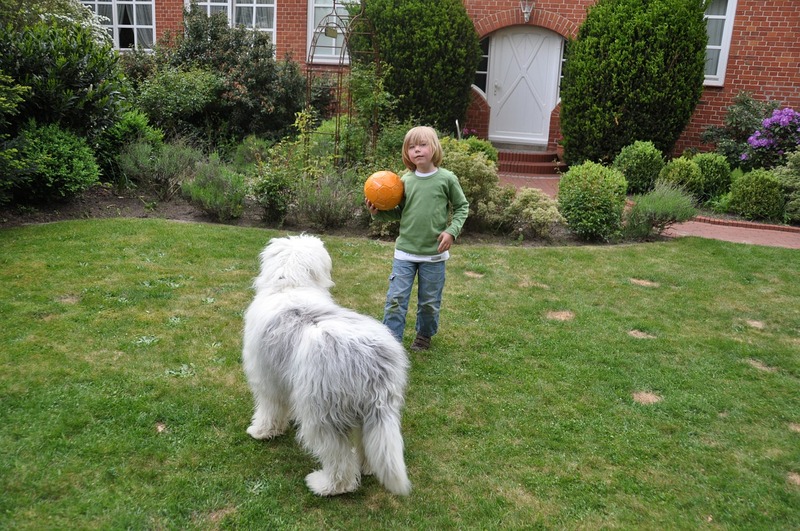 I use a long line (a 30-foot or 50-foot leash) to teach the dogs what the “boundary” or “bubble” around us is. They learn that if they near that boundary, they’ll get called back and rewarded with food. They quickly learn not to push that boundary. Better yet, they learn that off-leash obedience pays in spades! 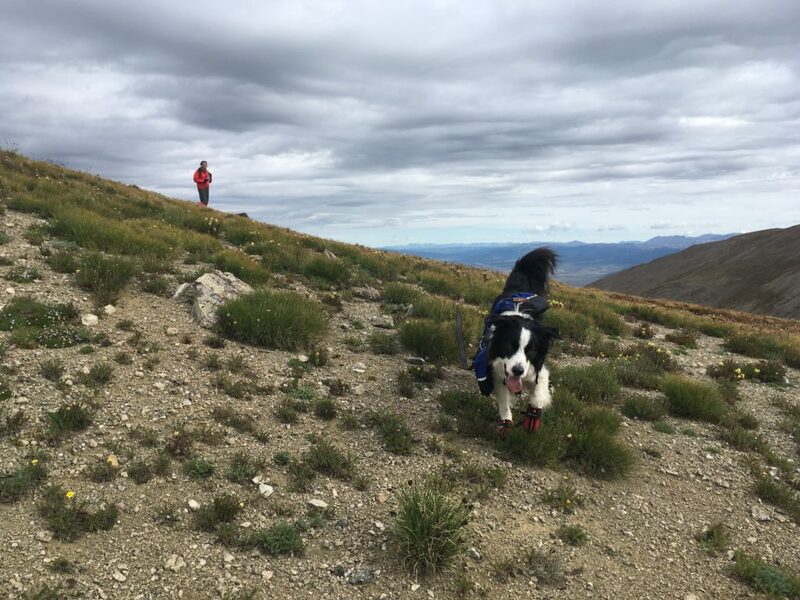 If you are worried about carrying treats while you hike, just remember that it’s no more weight or hassle than bringing the remote for an e-collar (and it’s far more fun for your dog). Pro Tip: I put freeze-dried chicken in my hip pouch with my sunscreen, chapstick, and phone. 1. Hike with a long line. I always start out using a long line for teaching dogs off-leash obedience. These 30-foot leashes can be a pain to hike with at first, but they keep your dog safe. Attach them to a back-clip harness. Let him roam as long as he’s within the perimeter of the long line. 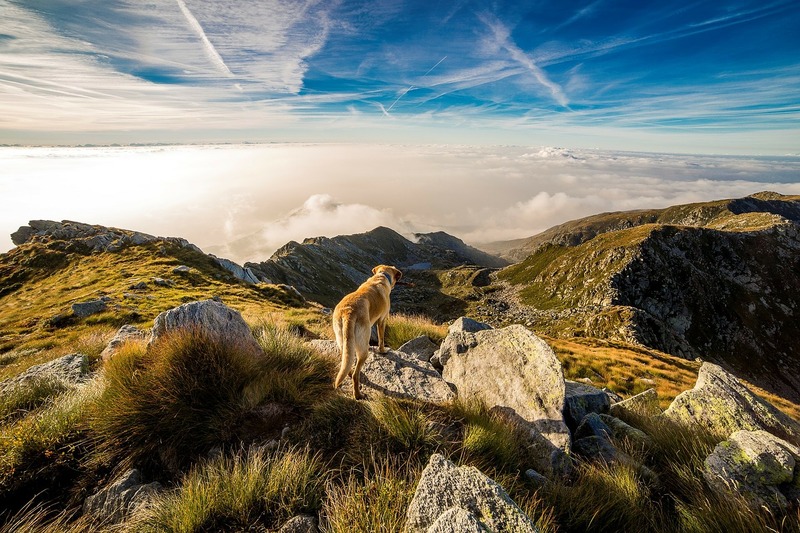 You’ll find that giving your dog freedom to sniff and explore will actually increase his focus on you over time, because the environment becomes a bit less exciting as he explores it more. 2. Call your dog back to you just before he hits the end of the line. Let him roam as much as he wants as long as he’s not at the end of the line. Just before he hits the perimeter of the long line, call him back. Try not to call your dog back repeatedly. I make the “a” in “Barley” two- or three-toned (like a siren), then the “come” is short and clipped. I always use it this way, and it really helps make sure my voice reaches him well. As your dog turns towards you, it’s ok to keep encouraging him! You can move away from him, pat your knees, or even start to pull out those tasty treats. But don’t do all of this until he’s turned towards you. You don’t want him to only turn towards you if you’ve got treats. The treats are a reward, not a bribe. If your dog doesn’t come to you: that’s ok. You’ve got him on a leash. Don’t tug, just wait. After a few moments, call again. Wait patiently. When he comes back to you, reward generously and re-set. The environment was too hard! Try again in an easier location (maybe a soccer field or your backyard or indoors). 3. Reward him for coming back. Pay your dog well for recalls. I generally use shredded white chicken breast, but sometimes I’ll pack an Egg McMuffin, beef jerky, chicken nuggets, liver, or squeeze cheese. Switch up the rewards, and be generous. If your rewards are too good and your dog won’t go explore again, use something a bit less exciting (but that’s a good problem to have). Keep practicing steps 2 and 3 until your dog starts looking back at you on his own. 4. Reward him extra-well for choosing to check in. Once your dog is looking back at you on his own, it’s time to start “capturing” his check-ins. Checking in is one of the most important skills for off-leash obedience, and it’s one of the biggest reasons I prefer to use treats than using an e-collar. I’d rather reward my dog for choosing to check in with me than rely on electronics to prompt him to do so. Say “good boy” and then pull out treats whenever your dog checks in. Reward generously! Nowadays, Barley often looks back at me, but doesn’t come back to me for treats. He’s just checking in with me, then he runs off to keep doing what he was doing. This is my ultimate goal. I’ll tell you a little secret: I hardly ever use treats anymore hiking with him. I still carry them, but I rarely need them. Start moving your training to more challenging areas. You might want to try around other dogs, around water, and around wildlife. Continue rewarding generously. If you slip up, don’t sweat it! Just reset and try a slightly easier situation next time. Move on to the next step once your dog is automatically checking in at your current level of difficulty. By now, your dog probably automatically checks in before hitting the end of the long line in most situations. That’s what we’re going for: boundary training! 6. Take off the long line. Remove the long line and try a true off-leash hike once you’d happily bet $100 that your dog will come back to you around squirrels, water, and other dogs. Those check-ins should be automatic and effortless. Now go for a hike. Generously reward check-ins and call your dog back intermittently, but not repeatedly. Pro tip: Don’t abuse your dog’s recall. Let him sniff and explore within reason. Call him back when he’s near his boundary, and not more than that. If your training slips up, go back to using the long-line for backup. You can even have your dog drag the long-line at first if you’re really worried. Being off-leash is always a bit risky for dogs. Ensure that it’s legal to have your dogs off-leash, and know the area well. Your dog can always chose to ignore you (whether you use treats, e-collars, or both), and that’s a danger. Some dogs will be much easier to train than others. Dogs with high prey drive (like sighthounds and hounds) or independent breeds (like huskies) will generally be much more challenging than dogs bred for off-leash obedience (like border collies). That’s really it! With diligent practice and good treats, most dogs can hike safely off-leash using reward-based boundary training.